Thyroid disorders are very common among women. Failing to identify the symptoms at the right time often lead to complications. Here are few signs that you should watch out for. You're either drastically gaining weight or battling constant mood swings, perhaps even dealing with dry skin and unexpected hair loss. All of these might seem like symptoms of different health disorders or simply an unhealthy lifestyle, but not many are aware of the fact that these are symptoms of thyroid disorders. Two of the major symptoms of thyroid disorders in women is weight gain and irregular periods. You can have the best diet, a great routine and a healthy lifestyle, but somehow, something still seems off. More often than not, thyroid disorders are genetic and you need to be aware of what are the signs of it, and why thyroid disorders occur. A major problem in identifying this illness is that the symptoms are very similar to other health issues and thus becomes difficult to diagnose. Living with thyroid symptoms can be very taxing not just on the body and your organs but also your mental wellbeing. Hence it is very important to pay close attention to some of the common symptoms that will help to get the right medication at the right time. A butterfly-shaped gland present at the base of your neck, the thyroid produces hormones that control a lot of bodily functions like fat burn, body temperature, and menstrual cycle. If the gland produces more than the required hormones, it leads to Hyperthyroidism, or lesser, which causes Hypothyroidism. The latter is what affects more women than men. According to the American Thyroid Association, women are five to eight times more prone to develop thyroid issues than men. 10 to 20 percent of women in their thirties develop thyroid issues, says Eve Feinberg, M.D., assistant professor of reproductive endocrinology and infertility at Northwestern University Feinberg School of Medicine. Mood swings and depression are signs of hypothyroidism. While depression itself can lead to some of the symptoms of hypothyroidism, it is usually difficult to relate depression to thyroid disorders. Hypothyroidism greatly affects the functions of the brain that in turn alters your mood. “People will feel like they’re thinking a million miles a minute, they’re anxious, irritable, and tremulous,” says Valentina Rodriguez, M.D., an endocrinologist at NYU Langone Health. Though not many are aware of it, thyroid disorders have quite an impact on mental wellbeing with both, hyperthyroidism and hypothyroidism having a negative effect on your mental and emotional state. It is best to consult the concerned health professional when these symptoms are recurring. Another symptom of thyroid disorders that is often wrongly diagnosed is the temperature sensitivity of your body. A person with low or high levels of thyroid hormone may feel cold or warm regardless of the outside temperature. For example, if your body produces more thyroid hormone, you may feel hot and perhaps even start sweating despite being in air-conditioned interiors. The opposite happens when the body produces less hormone that is hypothyroidism. Sudden changes in your period cycle are also a sign of thyroid disorders. Since the thyroid gland plays an important role in regulating the menstrual cycle, a slight variation to your cycle can indicate a problem with your thyroid gland. Heavier menstrual flow is a sign of hypothyroidism. However, lighter or the absence of periods for a couple of months can mean hyperthyroidism. The growth of hair follicles and the regeneration of skin cells are other functions of the thyroid hormone. Low thyroid hormone can stop the regeneration of follicles, resulting in hair loss. If you're prone to dry and broken skin, it takes longer to regenerate and heal. It is also possible that dead skin takes longer to shed, leading to flaky, dry skin. 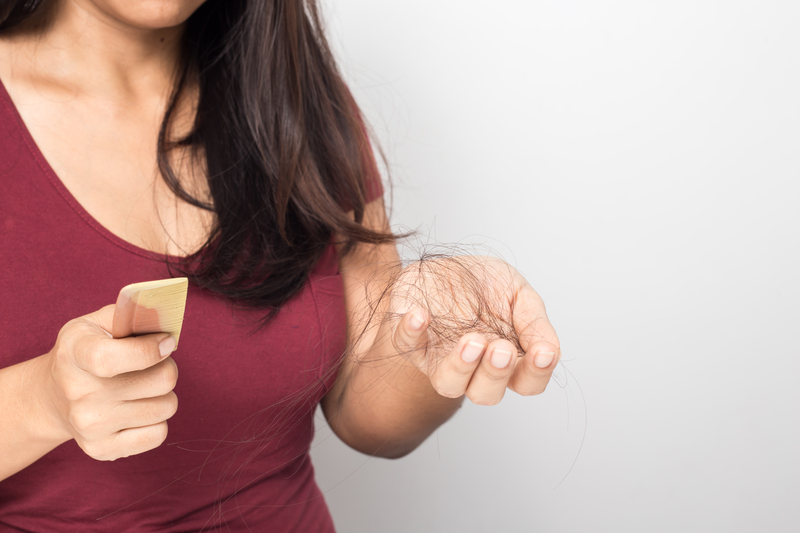 So if you start noticing your hair becoming brittle and breaking off easily along with skin that remains dry regardless of the amount of moisturizer you apply, it is best to get medical opinion on a possible thyroid disorder. Given the fact that the thyroid hormone plays a major role in controlling the metabolism of your body, a disorder of this gland will naturally lead to changes in weight. Unexpected weight gain is very common in people with a low metabolism. This is often seen affecting more women than men. Sudden loss of weight is often a sign of high metabolism, which is observed in hyperthyroidism. “A lot of women don’t want to be treated for hyperthyroidism because they see the weight loss as a good thing, but they need to get treatment—the overproduction of the hormone is really hard on the body, especially the heart," says Rodriguez. As mentioned previously, the thyroid gland regulates major body functions that impact the heart rate. A person suffering from hyperthyroidism will experience a rapid increase in the heart rate while the opposite is experienced by a person suffering from hypothyroidism. Either condition may result in heart failure, but the risk is higher with hyperthyroidism since a rapid heartbeat for a prolonged period results in more stress on the body. This is one of the more easily observable physical changes associated with thyroid disorders. 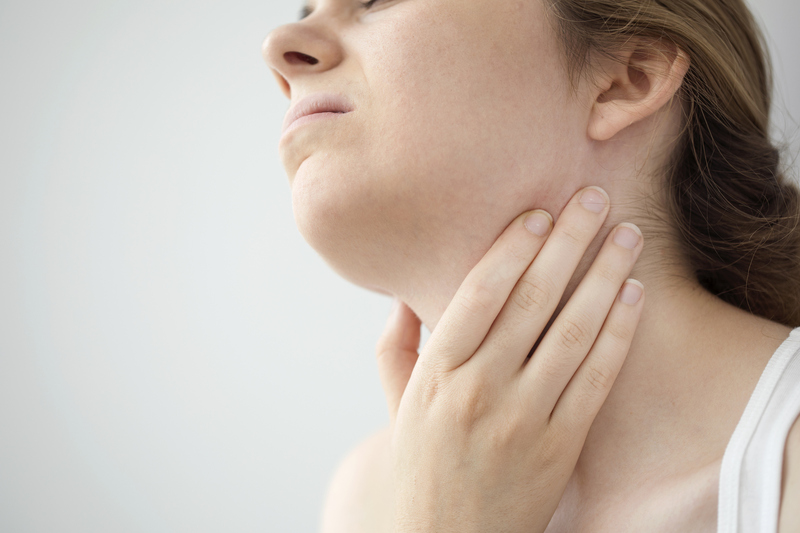 A swollen neck that resulted from an enlarged thyroid gland called a goiter is a sign of thyroid disorders. Goiter can be caused due to the increase in thyroid hormone which also leads to hyperthyroidism. Dryness and irritation of the eyes is a symptom for both hyper and hypothyroidism. If your eyes feel dried out and are more pronounced than normal, it is better to look for other symptoms of thyroid disorders. Graves’ disease, an autoimmune disorder is known to cause hyperthyroidism. Puffy and protruding eyes are also a sign of Graves’ disease. It can also affect your eyesight. A lot of symptoms associated with thyroid disorders are so common that they're often mistaken for other disorders. But if you do observe two or more of these symptoms, it is best to consult a qualified medical expert who can guide you through accordingly.